The Specialized Ambush comes with a unique crash detection system and is one of the best helmets we've tested. Specialized makes everything you can think of for cycling, and that includes a full line of helmets and the new Ambush with ANGi mountain bike helmet. This is their top of the line half-shell helmet, and it features a unique new crash detection system they call ANGi. ANGi is a small sensor attached to the back of the helmet that can detect the forces associated with a crash and notify your emergency contacts via a Bluetooth connection to your smartphone and the Specialized Ride App. This helmet is big on protection, with generous coverage and MIPS SL, the lightest form of MIPS protection, which is only available on Specialized helmets. It's also very comfortable, impressively lightweight, and one of the best-ventilated helmets in the test. This helmet impressed us on every level and is our new Editors' Choice Award winner. The Ambush helmet has been around for a few years, but the model we tested features their brand new crash detection system called ANGi. This is a very unique safety feature that adds to this helmet's already impressive protection. It has best in class coverage as well as the lightest MIPS system available. It's known as MIPS SL and is integrated into the padding and exclusive to Specialized helmets. Comfort is another of its strong suits, along with its lightweight and incredible ventilation. In fact, there was nothing we didn't like about the Ambush with ANGi. It scored well across all of our rating metrics and earned our Editors' Choice Award. This is one of the best helmets you can buy. Testing the Ambush with AMGi on some high desert trails below the snow line. The Specialized Ambush with ANGi earns top honors in the protection metric. It has a deep fit and extended coverage that comes down low on the temporal and occipital lobes. 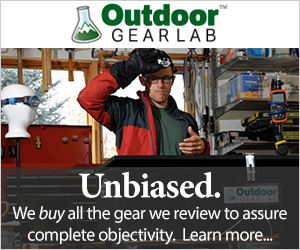 It is similar to the POC Tectal in terms of coverage, and both helmets have more coverage than any other in this test. Just like the Tectal, the EPS foam of the Ambush is reinforced with an Aramid skeleton for additional strength. The Ambush comes equipped with MIPS SL, which Specialized claims to be the lightest MIPS system available. It is integrated into the padding of the helmet. The MIPS SL system is new and is exclusive to Specialized helmets. Unlike other MIPS systems, which have liners within the shell and padding on top, MIPS SL is a more streamlined design that is intended to reduce weight and improve ventilation. It seems similar to POC's SPIN system in many ways, but mostly because the MIPS is integrated into the padding. The padding connects to the helmet with a number of small velcro tabs, and at each of these connection points, there is a rubber band of sorts that allows the padding to slide a little fore and aft and side to side. How well it works in a crash is hard to say, but it feels similar on your head to other MIPS systems. ANGi is a brand new feature from Specialized that doesn't protect your head any better when you crash but can notify your emergency contacts if you do. This is a potentially lifesaving protection feature that could call for help if you're incapacitated or riding alone. We'll go into greater detail about ANGi in the Features section. The ANGi sensor is attached to the back of the helmet and you'd really never notice it unless you need it. The Ambush with ANGi is tied for top honors in this metric with the POC Tectal Race SPIN, Smith Forefront 2, and the 6D ATB-1T Evo, all of which have excellent coverage and innovative technologies that enhance their level of protection. Testers found the Ambush with ANGi to be a very comfortable helmet. It is available in three sizes, small, medium, and large, and should accommodate the vast majority of head sizes. It has a deep fit with lots of coverage on the temples and back of the head, and the width and length seem about average. You can easily tailor the fit using their integrated Mindset 360 adjustment system. This system is unique in that its dial is integrated into the helmet itself, right below the ANGi sensor, and that is has a 360-degree design that pulls tension evenly around your head. The fit adjustment cradle is also adjustable up and down at the back of the head to ensure it is in the right place. The fit adjustment dial is integrated into the shell beneath the ANGi sensor. The coverage of this helmet is so deep that the harness/cradle is fully inside the shell at the back of the head. The helmet's padding also adds to its comfort. It's thin, but it covers approximately 2/3 of the inside of the helmet, anywhere your head would make contact with the EPS foam. The straps are also comfortable, with a standard plastic buckle to connect them under the chin and a couple inches of adjustment possible with the thin lightweight webbing. The straps split around the ears with what Specialized calls a Tri-Fix web splitter. It's a nice wide yoke that holds the straps flat and far from your ears. The only other helmets in our test selection that provide a similar level of comfort to the Ambush are the Smith Forefront 2 and the POC Tectal Race SPIN. These are two of our other favorite helmets. Several others come close, but none can match these top-rated competitors. Specialized incorporated their 4th Dimension Cooling System into the design of the Ambush with ANGi. We suppose that refers to the 20 vents and well designed internal air channels that keep air moving through the helmet better than any other model in this test. There are ample vents at the front and on the sides of this helmet to catch loads of air, and the large internal air channels allow the air to move over your head and exit through the massive vertical exhaust vents at the back of the helmet. It works impressively well, and this is the best-ventilated helmet in this test. Some of the other competitors in this review are also well ventilated, but none can quite match the Ambush. The POC Tectal, Troy Lee A2, and the Smith Session also vent very well but can't reach the high bar set by the Ambush. Air is drawn in through the front vents of the helmet and moves through large air channels on the inside to the huge exhaust vents at the back of the head. The Ambush with ANGi is loaded with features, some of which we've already touched upon in our protection and comfort sections above. It has several features which aren't specific to either fit or protection, and we'll go over those here. First, it comes with Specialized's new ANGi crash detection system. ANGi is a small sensor that is attached to the back of the helmet that syncs to your smartphone via Bluetooth and the Specialized Ride App. The purchase of an ANGi equipped helmet gets you a free one-year subscription to the Ride Premium App, which is required to use the system. Once paired with the App, it will notify your contacts when you begin and end a ride, track your ride (they can even follow along), and notify your emergency contacts in the event of a crash if you have cell service. If you do crash, there is a countdown before the app sends out an alert, and you can stop it if you aren't hurt. If you don't have service, the app can't send out an alert. But your contacts will know that you've started a ride and roughly where you are in the event they don't get a ride finished notification. The Specialized Ride App works much like other ride tracking apps, and you can upload your rides to apps like Strava when you are done. The ANGi sensor runs on a coin cell battery and gets approximately six months of life before it needs to be replaced. The Ambush also has an adjustable visor, so you can position it wherever you like and make it compatible with goggles. The visor is micro-adjustable and stops in any of 17 indexed positions from all the way up to all the way down. This visor design works well and is easy to adjust one-handed, plus it stops in far more positions than most of the other adjustable visors in this review. Specialized also bills the padding in the helmet to have a Gutter Action Brow that channels moisture away from the eyes, though we don't notice any difference between it and a standard brow pad. The visor is easily adjusted and can stop in any of 17 indexed positions. In the full up position, it can easily accommodate goggles when not in use. At only 350 grams or 12.35 ounces in the size large we tested, the Ambush with ANGi is very lightweight. In fact, it's one of the lightest models in the test, lighter than the POC Tectal Race SPIN by 15 grams. What's most impressive about this is the level of coverage and protection this helmet provides, we'd expect it to weigh more by just looking at it. If you're concerned about weight but don't want to skimp on coverage, protection, and comfort, then the Ambush is a great option to consider. Most of the helmets in this review weigh 40-50 grams more than the Ambush. There are a couple of heavyweight exceptions, of course, like the Oakley DRT5, which clocks in at 476 grams, and the 6D ATB-1T Evo at a whopping 515 grams. Weighing only 350 grams, the Ambush is one of the lightest models we tested. Durability is the one metric where the Ambush with ANGi isn't a top scorer. We do feel that it is a durable helmet, but there are a couple of helmets that seem to be a little more sturdy overall. It has a quality in-mold construction, and it seems to be very well made. The polycarbonate shell covers most of the EPS foam and wraps around the lower edge of most of the helmet, though it isn't as robust as some of the heavier models we tested. There's also some exposed EPS foam at the front of the helmet by the brow that is susceptible to damage if you're rough on gear. This helmet seems a little more fragile than some of the competition if you're the type of rider who tosses your helmet in the truck bed. The helmet seems quite durable, but the exposed EPS foam at the front of the helmet seems a little susceptible to damage compared to models where the outer shell fully covers the EPS around the edge. The Ambush with ANGi is a great helmet for any type of mountain biking. This helmet is protective with ample coverage for all-mountain and enduro riding and lightweight enough for XC and big backcountry trail rides. It's also a great option for the rider who wants to give their significant other, friends, or family peace of mind with crash detection, ride notifications, and ride tracking with ANGi and the Specialized Ride App. This helmet has a huge bandwidth, with coverage and features to please the hard-charging enduro crowd, yet it's light and ventilated enough for XC and endurance riders. At a retail price of $200, the Ambush with ANGi is far from the most expensive helmet in our test, but it's not exactly cheap either. In this case, we do feel that it's a good value considering the protection, comfort, light weight, and features that it offers. We think this is one of the best helmets on the market, regardless of the high price tag. The Ambush with ANGi impressed our testers and is the winner of our Editors' Choice Award. This helmet combines excellent protection, comfort, lightweight, and ventilation in a way that no other helmet in this review can quite match. It also has a unique connected feature in the ANGi crash detection feature that no other helmet has. If you're looking for a comfortable, lightweight, and fully featured helmet with excellent coverage, MIPS, and crash detection, then look no further than the Ambush with ANGi. The Ambush with ANGi is one of the best helmets we've ever tested. It's an excellent combination of protection, comfort, ventilation, in a lightweight package. The Ambush with ANGi is available in three color options, Gloss White (tested), Ion (bright yellow), and Matte Black. In addition to the Ambush with ANGi model reviewed here, Specialized makes the Ambush without ANGi, the same helmet without the crash detection or the MIPS SL system which retails for $180. They also make a model called the Ambush Comp, which is offered with or without the ANGi crash detection system. The Ambush Comp with ANGi ($150) has a similar look and style to the Ambush with ANGi with reduced ventilation, a different MIPS system, and a less refined finish. The Ambush Comp ($120) is also offered without ANGi or MIPS. The ANGi crash sensor is also available as an aftermarket purchase for $50. It can attach to Specialized ANGi-ready helmets and weighs approximately 10 grams with the battery.